Solid, But A Little Rough Around The Edges! 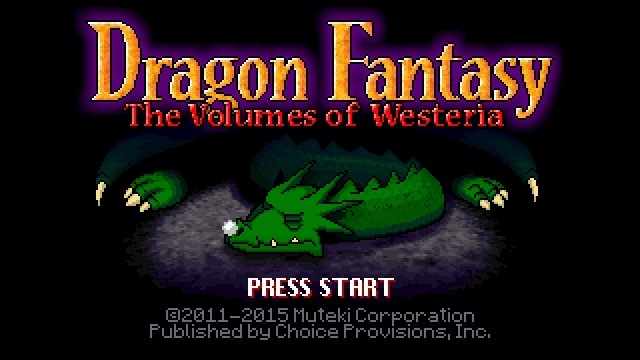 The game is decidedly retro, if you enjoyed the NES Dragon Warrior or Final Fantasy titles, you should enjoy Dragon Fantasy Book I: The Volumes of Westeria! Developed by Muteki Corp and published by Choice Provisions Dragon Fantasy Book I is a turn-based RPG that plays alot like a hybrid between the NES Final Fantasy and Dragon Warrior titles. Originally released on mobile, the game has since been upgraded several times on a multitude of gaming platforms, and the Wii U version is no exception with new features including visible monsters in dungeons! As for the game itself it has pretty straightforward battles with hilarious dialog from some of the monsters when they attack. The battles, while enjoyable, are a little too simple by today's standards which is a shame, but not overly bad. Some features include items such as nets that can be used to capture monsters to add to your party which is helpful, especially in the first chapter of the game! The visuals might not be the prettiest around, but they get the job done. The game has a hodgepodge of other retro ideas thrown in for good measure, but nothing really stands out as being unique so even though this game does utilize great gameplay mechanics and doesn't do anything wrong, it does give a strong feeling of been here done that. However for those new to the genre these issues obviously wouldn't apply. The controls are simple and very intuitive while the Off-TV-Play works perfectly. 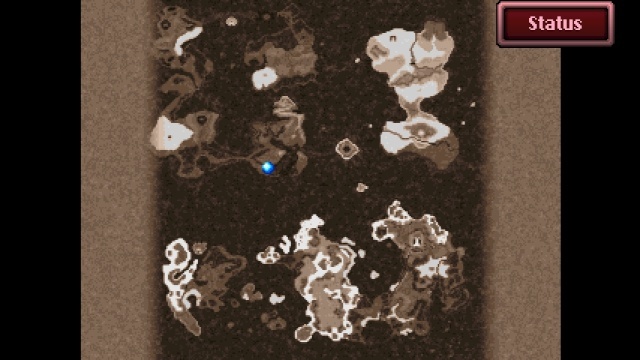 Other optional Gamepad features include a full-screen map and character positioning that can be displayed at all times. There are also many controller choices including Gamepad, Wii U Pro, Wii Classic Controller, and Wiimote to name a few, which gives players plenty of options! Overall in-terms of the controls and gamepad features everything works flawlessly! On the visual side of things, looking through rose-tinted glasses is a must for accurately rating it's visuals. The game allows for both 8-bit or 16-bit graphics and neither look overly impressive for the era their style is based off of. The battle window does look very reminiscent of the early Dragon Warriors game, which is a nice touch! Despite the average looking visuals, the music is vastly better with superb tracks that really fit the game well. Of course a retro-style game like Dragon Fantasy wouldn't have groundbreaking Gamepad features, but what it does have is useful and works well. With solid gameplay, excellent controls, decent use of the Gamepad for a retro-style game, serviceable graphics, and superb 8 and 16-bit soundtracks Dragon Fantasy Book I: The Volumes of Westeria is an all-around solid game, however it doesn't do much to differentiate itself from the classic titles it was designed to mimic, but overall we still give the game a solid recommendation! Hmm this might be worth a look after all. Good review @Rukiafan! Amazing review! This is on my radar, hopefully it won't disappoint. A 7/10 huh? 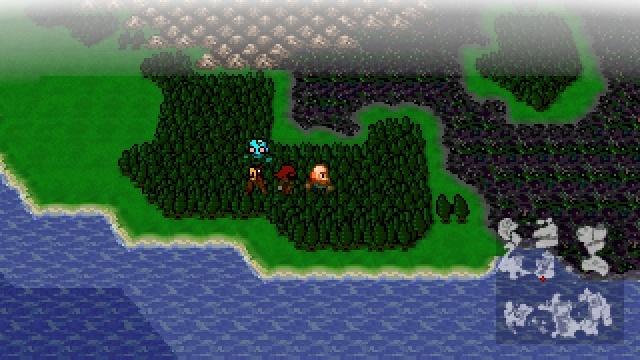 That's about what I'd expect from an nes inspired rpg. Perhaps I will download the game at some point. Good review. By the way when are you guys going to review Splatoon? @bro2dragons @Rukiafan @Gamergy @SKTTR? When is this going to release in Europe?